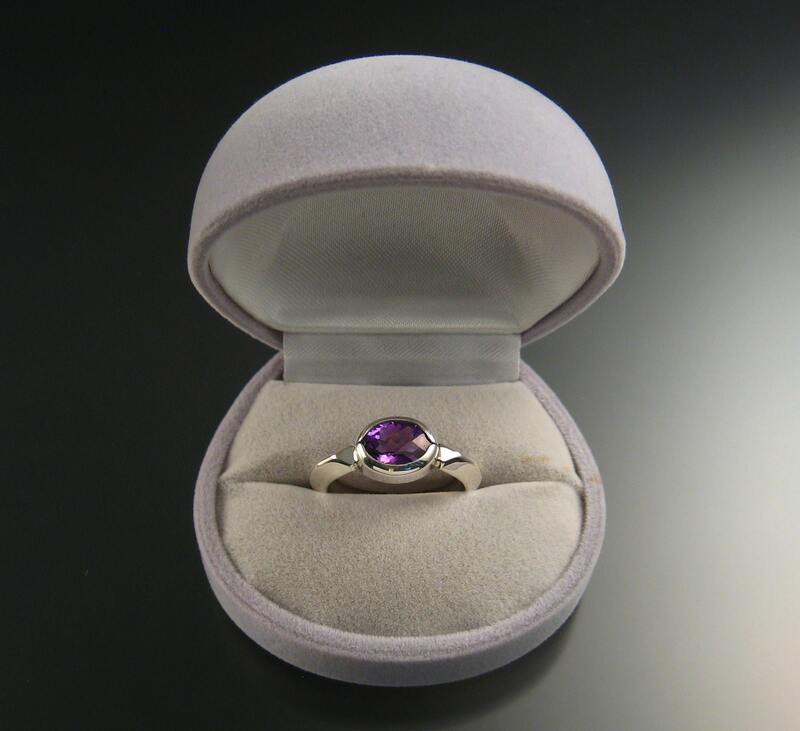 Amethyst checkerboard cut stone is deepest color, well cut and eye-clean. 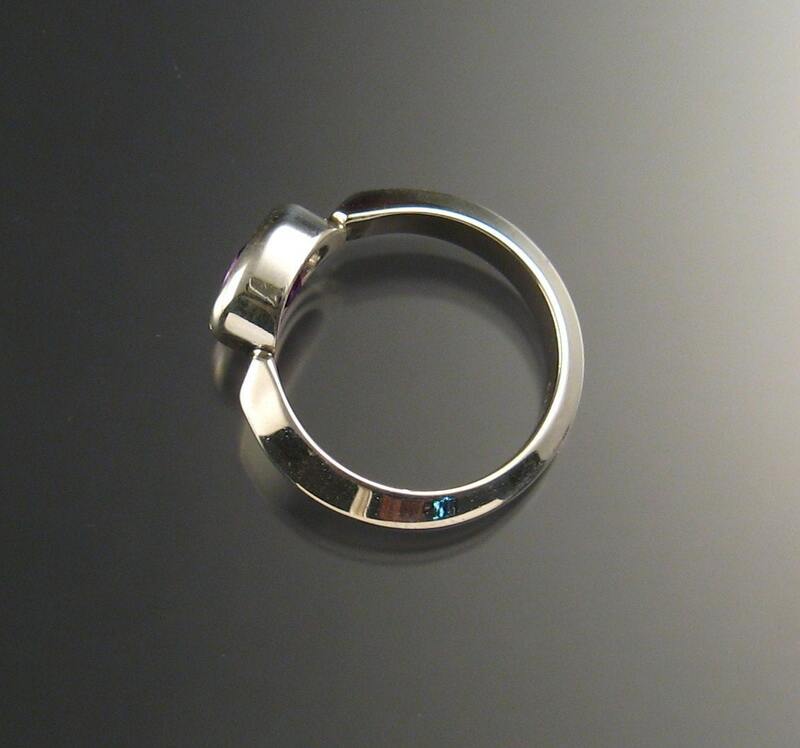 7x9 mm stone is bezel set with sturdy triangular band. 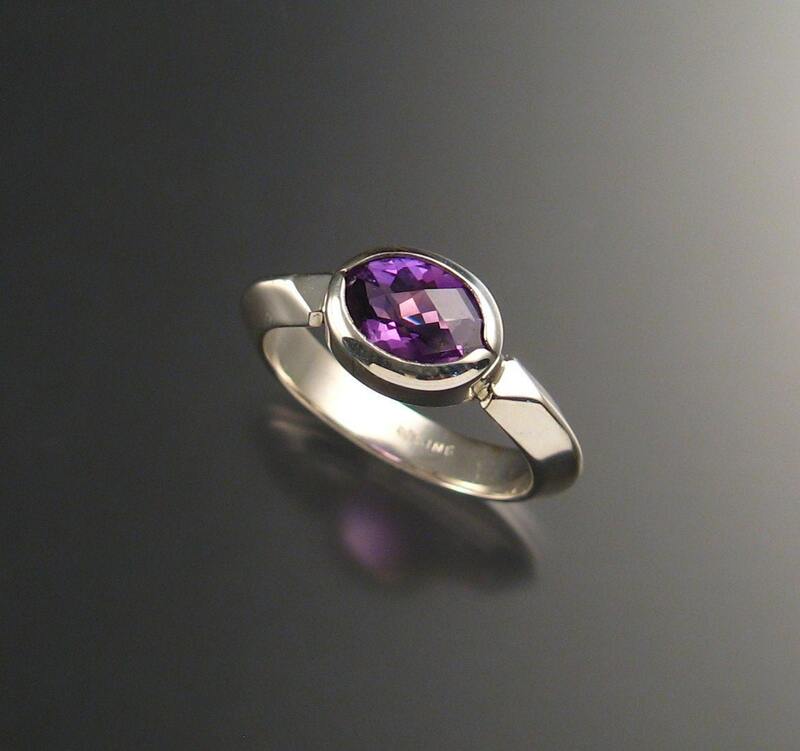 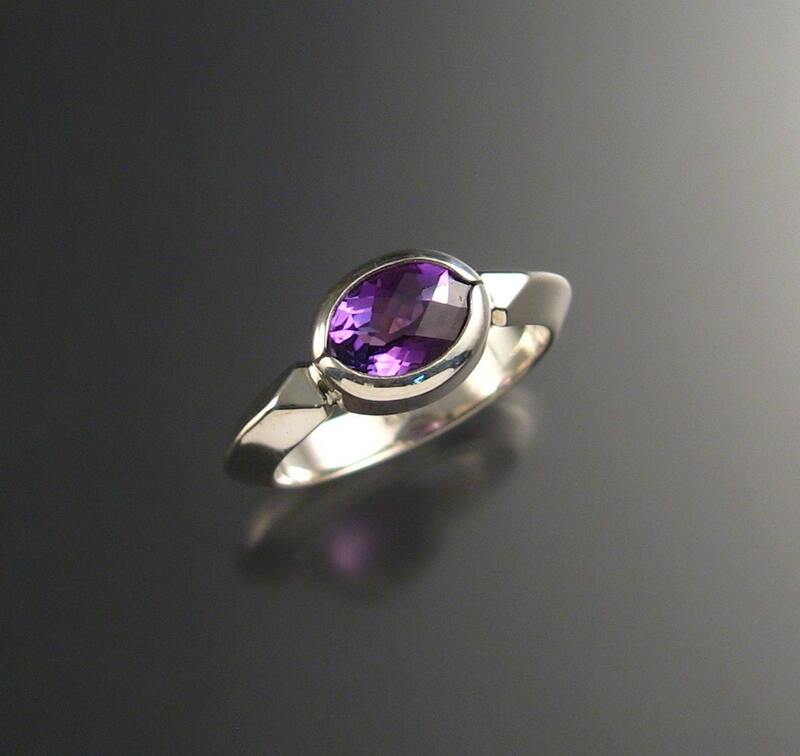 I can make this ring for you in any size between 6 and 11. 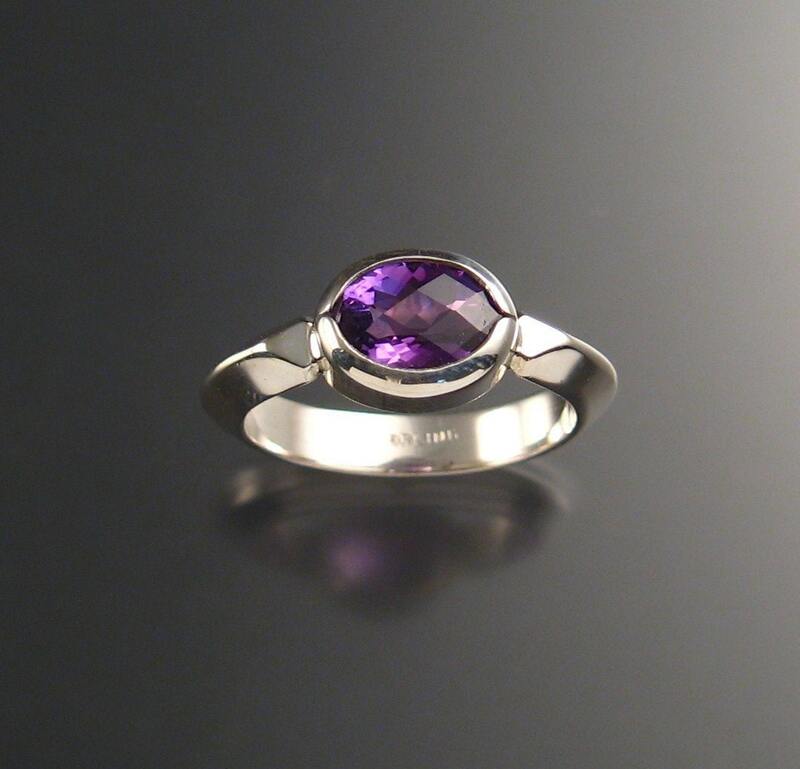 Leave your ring size in a "note to seller" at check out.